Make ongoing, classroom-based assessment second nature to your students and you. 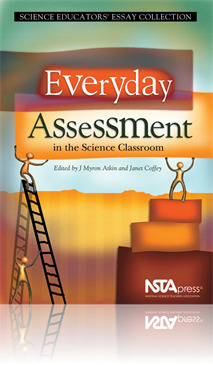 Everyday Assessment in the Science Classroom is a thought-provoking collection of 10 essays on the theories behind the latest assessment techniques. The authors offer in-depth “how to” suggestions on conducting assessments as a matter of routine—especially in light of high-stakes standards-based exams, using assessment to improve instruction, and involving students in the assessment process. Everyday Assessment is designed to build confidence and enhance every teacher’s ability to embed assessment into daily classwork. The book’s insights will help make assessment a dynamic classroom process of fine-tuning how and what you teach… drawing students into discussions about learning, establishing criteria, doing self-assessment, and setting goals for what they will learn.